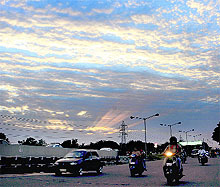 After four days of pre-monsoon showers, the monsoon finally arrived in the city today. The rain during the past four days has resulted in an increase in the water level of the Sukhna Lake by 2 ft. The water level has increased from 1,155 ft to 1,157 ft, said an official of the Engineering Department, who monitors the water level twice daily. People from all walks of life, including police officials and political leaders from different parties, attended the bhog ceremony of Inspector Sucha Singh, who was stabbed to death on the night of June 7. The ceremony was held at a gurdwara in Sector 19. Inspector Sucha Singh's gruesome murder has brought to the fore some of the lacunae in policing. It should be made mandatory for all the Inspectors, particularly those performing night duty, to carry arms. 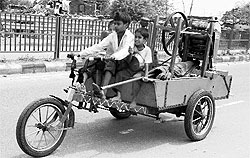 Besides, a gunman should be put on duty along with the driver on a PCR petrol vehicle. Any suspect, when apprehended, must be thoroughly frisked before he is taken to a police station for interrogation. Oblivious of his priceless contribution, while an anonymous liver donor left the world, it is the recipient of his liver, who, without knowing the donor's exact identity, worships him every day for gifting him a new lease of life. When it comes to crime against women, Chandigarh has the second highest number of cases registered under the IPC in 2012 among the seven Union Territories in the country. According to the latest report released by the National Crime Record Bureau (NCRB), Delhi leads the chart among the UTs with 5,959 cases of crime against women registered in 2012 followed by Chandigarh with 241 cases. In the first party meeting after the railway bribery scam, the former Union Railways Minister today exhorted the party workers to propagate the works done by the party and speedup the enrolment drive. As the showers made their way today, they also exposed the preparedness of the city for proper drainage of rainwater. 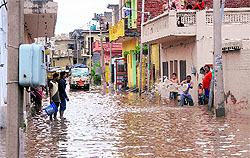 Commuters were harassed due to excessive waterlogging in various parts of the city. Questions are being raised on the quality of material used in the recent construction of the roads that have given up just after the second showers of pre-monsoon. Municipal Corporation and the Haryana Urban Development Authority (HUDA) had spent Rs 11.5 crore and Rs 11 crore, respectively. Almost one a and half month after the new excise policy came into force, there are no clear-cut guidelines about the opening of liquor vends outside the lal dora. The failure of the Panchkula police in submitting the challan in an infamous murder case within the stipulated period helped an accused in getting bail. The relatives of the victim also alleged that the police had connived with the accused, identified as Gattu, to help him get bail. Sarita Kumari (name changed), who was expecting a safe delivery in the labour room at The General Hospital, Sector 6, Panchkula, was in a state of shock when she found that the roof of the room was leaking badly. The rains might have given relief to the residents but have been a constant cause of concern for patients at the General Hospital as even during treatment they can feel water droplets falling on them. Max India Foundation, Corporate Social Responsibility Wing of the Max Group, organised a free multi-specialty health camp at Mianpur village near Kurali today. Residents of pathology, who have passed out, arranged a movie show and dinner for the children of Snehalaya on Saturday. The children presented cultural programmes at Bhargawa Auditorium. They were then taken for a movie. Mohali-based playwright-director Dr Atamjit Singh was conferred with the first Kapur Singh Ghuman Award at a function held in Patiala. Directed and designed by Salim Arif and written by Javed Siddiqi, the play, “Hum Suffer”, brought forth the complexities of relationships in the modern life. Enacted by TV and film actor Harsh Chhaya and theatre actor Lubna Salim and garnished with Gulzar's poetry, the one-and-a-half-hour-long play was about a married couple, the pain of their separation and of how they dealt with it. The UT Education Department rolled back the time relaxation given to the science stream students in government senior secondary schools here. Around 5,200 candidates from different parts of the country appeared for the entrance tests of various postgraduate (PG) courses on the second day of Combined Entrance Test (CET) at Panjab University. The PGI has proposed to start new research programmes under different heads this academic year at a cost of Rs 1983 lakh. The proposal was tabled at a meeting of the Standing Academic Committee held recently. 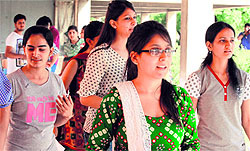 Students willing to pursue BCom from the city colleges are going to face cut-throat competition to get admission to the colleges as Panjab University (PU) has received around 5,920 online applications for 2,030 seats in various city colleges. The number is expected to go up as there are still seven days left for applying online. The summer camp organised by Satluj Public School, Sector 4, Panchkula, concluded on Friday. The camp, which began on May 27, organised a plethora of activities. Around 86 students participated in the camp that was based on water conservation, basics of theatre, body language, voice modulation, personality enhancement, dance and other activities. All students were given participation certificates, said Krit Sarai, principal of the school. A cyclist was killed after he was hit by a recklessly driven vehicle in Industrial Area on late last evening. In another accident, a cyclist was hit by a vehicle near the Civil Secretariat today. The police has registered cases of cheating and criminal breach of trust against the owner and employees of an immigration company here. The police has rescued a minor girl and arrested one person on the charge of kidnapping. Chess players Anhat Singh, Shishir Lamba, Saumya Lamba, Arunima Goyal and Tarini Goyal bagged the title in their respective categories during the concluding day of the Chandigarh U-19 and U-11 Open Girl Chess Championship at St Xaviers’s Senior Secondary School, Sector 44, today. The Gulzar Akhara Club today felicitated its three wrestlers, who participated in the Junior Asia Championship held at Thailand.